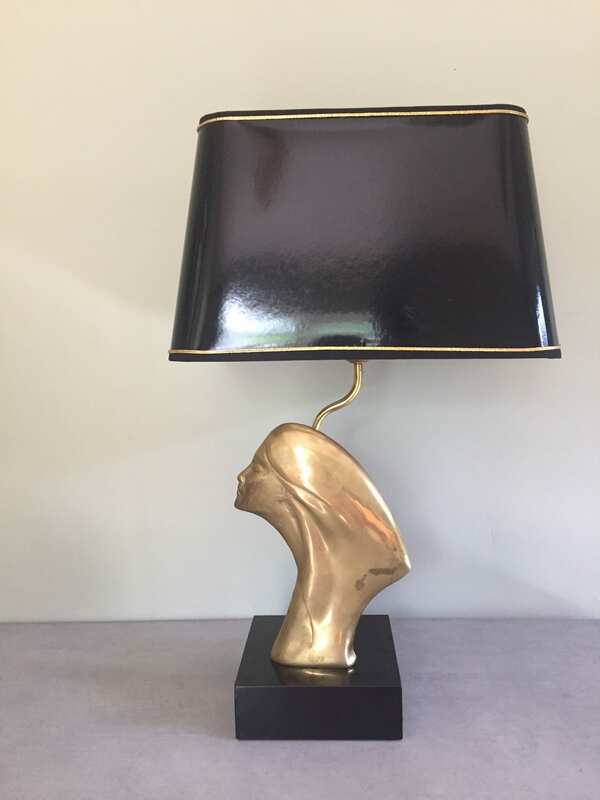 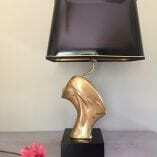 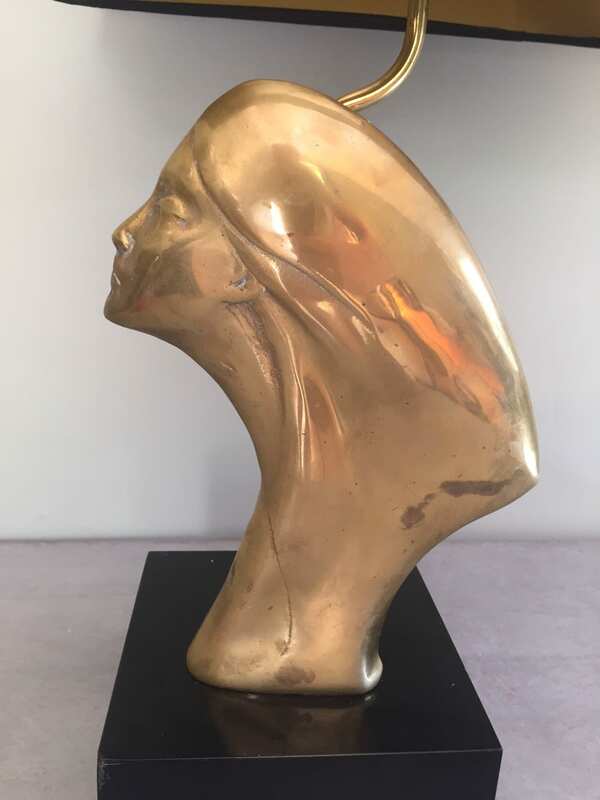 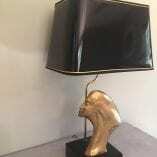 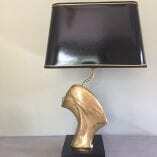 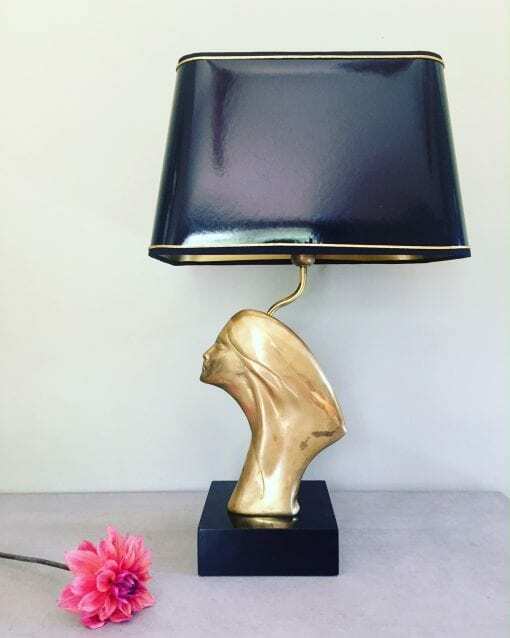 A very elegant and rare French table lamp, with a beautiful brass head of a lady, Art Deco overtones, but Mid Century period. 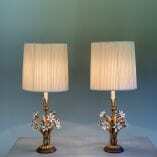 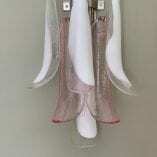 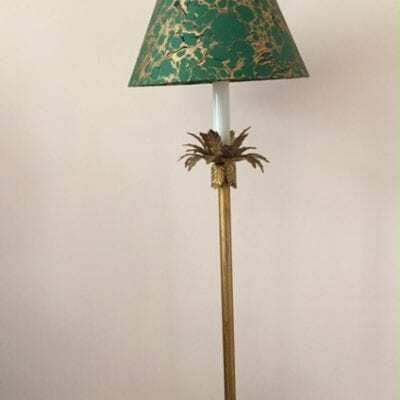 This lamp is probably Maison Charles, but no signature. 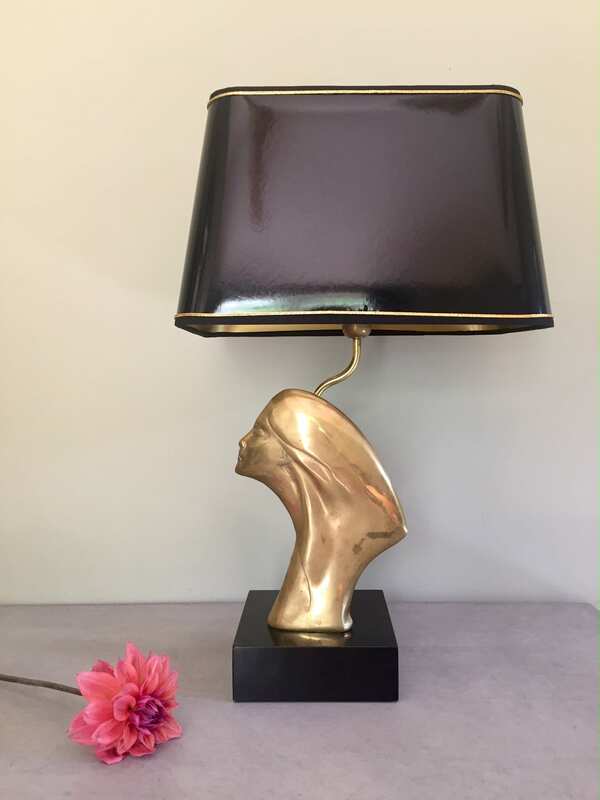 The lamp stands on a black wooden base – the base has some signs of wear due to age. 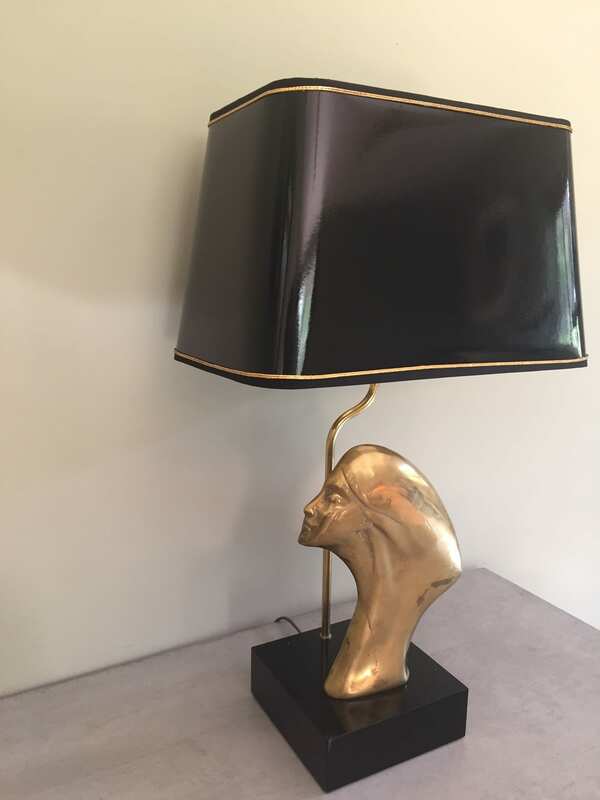 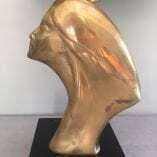 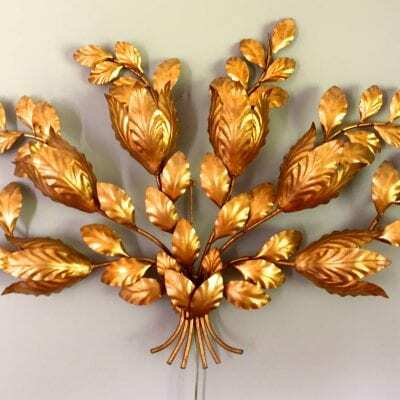 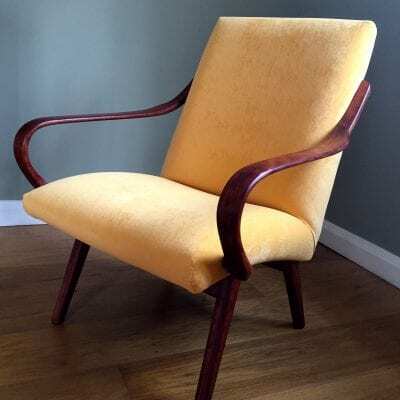 The glossy shade with brushed gold lining is new as original very badly damaged, but we have retained the original gold braiding and is constructed on the original frame. 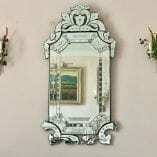 In very good vintage condition with some signs age related wear.